Roulette's existence has been known for quite some time now, give or take a few centuries. Without a doubt, its presence has been known in earlier civilizations, as can be proven by similar game references found involving Roman civilizations. Several activities have used a spinning wheel ever since the invention of the wheel, and gambling in itself is definitely an old activity. In fact, references have been made to soldiers using their swords and shields to make such wheels in earlier civilizations. What is more surprising is that Roman soldiers even used to use their chariot wheels to do this. As expected, a lot of nations claim to have invented this old casino game - from the Italians to the Chinese and the French. The Italians say it has something to do with an Italian mathematician called Don Pasquale; the Chinese say that they have played roulette since the prehistoric era; and the French say their scientists and monks came up with it. Today's roulette came in Paris in 1765, though. Apparently, a French police officer named Gabriel searched for a game that could counter the cheating threats of the city. Unfortunately, a similar gambling game known as Even-Odd, existed in Bath in 1739. However, Even-Odd stopped circulating by 1820, and roulette is still around. Roulette obviously received its name from the French and can be translated to 'little wheel'. Back in the day, both double-zero and single-zero games existed, the latter of which were invented by Louis and Francois Blanc in the 1842. 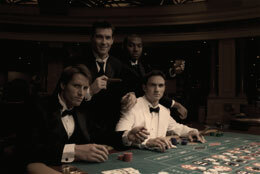 Near the end of the 20th century, the industry of gambling chose to appear on the World Wide Web, as well, and an influx of online casinos showed up throughout the Internet, giving roulette a brand new home. It was an outbreak of the roulette strategies. This online advent ensured that the game was reached by players from all over the world. Out of the primary roulette versions available nowadays - American and European - the latter has become more popular with players due to the one zero and lower house edge.